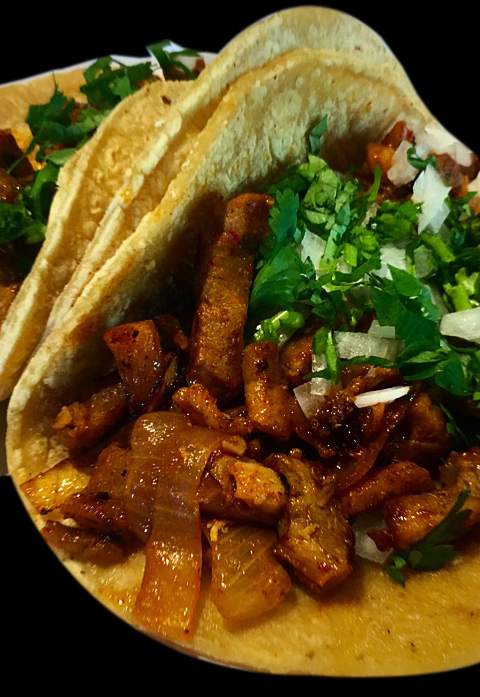 AUTHENTIC MEXICAN FOOD MADE FRESH AND FAST. BESA MI TACO. FRESH. FAST. Lettuce, tomato and cheese. Choice of corn or flour tortillas. *Platter comes with (2) tacos and rice and beans. Grilled or beer battered pollock, lettuce and tomato. Grilled or beer battered pollock with chipotle cabbage slaw. *Platter comes with rice and beans. Lettuce, tomato, sour cream, beans and cheese. Meat & whole pinto beans smothered with our cheese dip. Beans, rice, cheese, sour cream & red sauce. Mexican cheese and red sauce. *Platters comes with rice and beans. 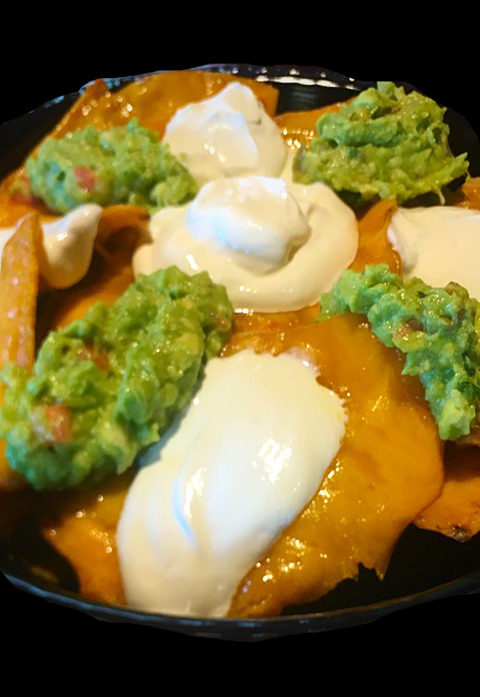 Tortilla chips covered with beans, cheese, guacamole and sour cream. with your choice of filling. Topped with melted cheese. *Platter comes with (2) quesadillas, rice and beans. refried beans, mayo, tomato, red onion and avocado. grilled onions, avocado, melted cheese and chipotle mayo. Served in a crispy tortilla bowl. “A taco explosion” chopped iceberg and romaine lettuce, diced tomato, red onion, black olives, avocado, cheese, chorizo & topped with tortilla chips. ​​​​​​​shredded cheese, avocado and sour cream. topped with Mexican cheese and avocado. Grilled bell pepper, onion, zucchini, baby corn and tomato. GUACAMOLE AND CHIPS $6.99 8oz. Slow roasted marinated pulled pork topped with picked red onion and habanero pepper. Marinated pork, topped with fresh chopped cilnatro and onion. Grilled zucchini, red onion and baby corn topped with fresh Mexican cheese and a slice of avocado. Breaded steak, topped with sliced tomato, avocado red onion and chipotle mayo. Frozen or on the rocks with salt (or no salt) and lime. So Refreshing! 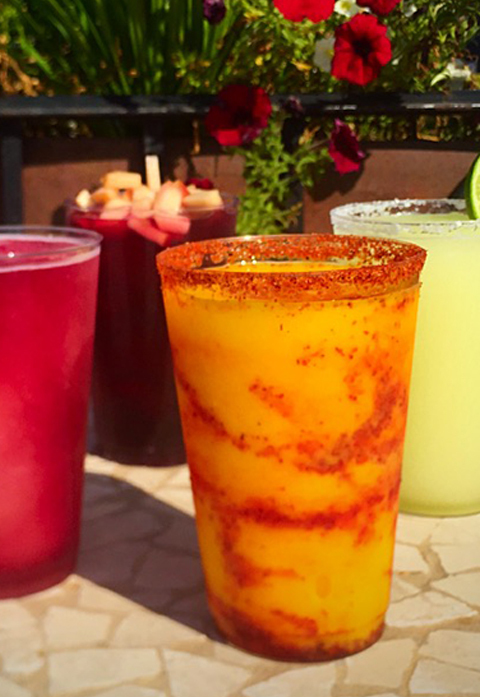 Frozen mango with Chamoy and Tajin and a zesty salted rim. Our classi strawberry frozen margarita. Order one, close your eyes and your on a beach somewhere.
" Go with a shredded chicken or ground beef taco on a corn tortilla. Top off your taco with the freshly made mild red salsa from the salsa bar. You won't go wrong! " " Enchiladas, tacos and salads are great! Staff is very attentive and smiling - even the kitchen staff waves hello to regulars! Our Mexican restaurant is livid, bright, clean and festive not just in a culinary way, but in regard to our atmosphere and interior too! Our light fixtures for example are made in a small village in Mexico and imported from the village right to our restaurant. We created a new way to enjoy authentic Mexican food and fast! Come experience Besa Mi Taco today.